James graduated from the University of Bristol in 2008 and then went onto to practice for a number of years by the golden beaches of Sandbanks. He believes one of the most important aspects of treating people is to effectively communicate and explain all options in a non-jargon way. This keeps patients well informed and involved with their treatment which is of utmost importance, together with building trust and a rapport over a long period of time. He is also very adept at converting phobic patients into happy regular attenders. James enjoys all aspects of dentistry but finds improving people’s selfconfidence by minimally invasive dentistry the most rewarding. James dedicates much time to post graduate education including the yearlong ‘Cosmetic and Aesthetic Restorative Course’ by Advanced Dental Seminars. 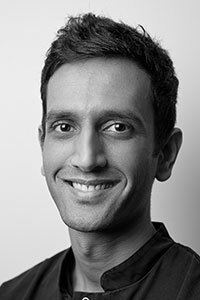 He is trained in aligning teeth in a cosmetically focussed way using the latest techniques. He also is trained in improving facial aesthetics with the use of anti-wrinkle treatments and dermal fillers. He is planning on completing the prestigious Dawson Academy course on advanced dentistry later this year. He is a member of the British Dental Association, a full member of the British Academy of Cosmetic Dentistry and a full member of the European Society of Aesthetic Orthodontics. In his spare time, he enjoys travelling and is a big foodie always in the search of new culinary experiences. Devin read dentistry at Bristol. Following graduation in 2005 he worked at the Oral and Maxillofacial surgery unit at Torbay Hospital before entering general practice. He has since focused on aesthetic and restorative aspects developing an interest in short term tooth alignment procedures and in cosmetic and functional corrections including jaw joint problems and how these relate to problems with teeth, in dental sleep medicine and anti-snoring devices, and in the treatment of tooth wear as a result of erosion and grinding habits. He is committed to ongoing postgraduate education and has trained under some of the foremost opinion leaders in dentistry locally and internationally. Devin holds membership of the Royal College of Surgeons and has obtained post graduate certification in advanced aesthetic dentistry from the Eastman Dental Institute, UCL. He holds memberships of the British Society for Restorative Dentistry, The British Society for Dental Sleep Medicine, The British and American Academy’s Cosmetic Dentistry and the British Academy of Aesthetic Dentistry. Outside of dentistry Devin enjoys photography and is a keen squash player. Christie graduated from the University of Dundee in 2014, with a degree in dental hygiene and therapy. Since graduating, Christie worked for 1 year in a mixed dental practice in her home town, Newcastle. On a quest for adventure, she decided to move down to London in the summer of 2015. Shortly after this, Christie became a valued member of our team here at Ten Dental. With a naturally confident style and an empathetic approach to patient care, Christie ensures a high standard of care is provided to all of her patients and their families. Christie values the preventative side of dentistry, aiming to protect all patients from oral diseases and infections. Christie prides herself in her ability to put her patients at ease, and ensure that they have full confidence in her as a practitioner. 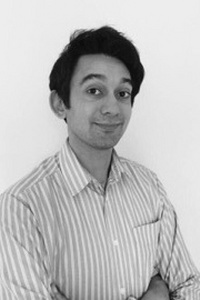 Assad qualified in 2007 from King’s College London and has since gained a wide range of skills working in general practice, community dentistry and hospital posts. Last year he qualified as a Specialist in Prosthodontics from the Eastman Dental Institute where he now spends part of the week teaching future specialists as well as treating patients on referral for complex restorative problems. His main interests include replacing missing teeth and managing worn dentitions. Assad is happy to see patients of all ages for all treatments and is also happy to deal with complex dental problems. 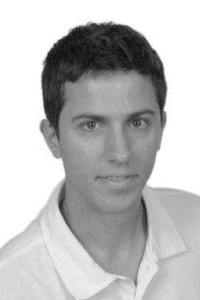 Nikos currently works at the Eastman dental hospital Paediatric department providing specialist treatment for young children and adolescents alongside his work with the Ten Dental group. 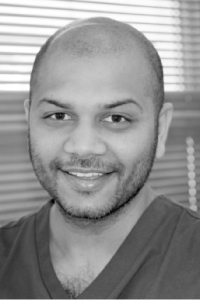 He graduated from Sheffield University in 2011 and is currently undergoing a three year clinical doctorate in paediatric dentistry at the Eastman dental hospital. In the past he has worked at the Oral and Maxillofacial department of the John Radcliffe hospital and completed the prestigious MJDF examination at the Royal College of Surgeons, as well as working in general practice. He is interested in academic study and research and regularly attends paediatric dentistry conferences in the UK and Europe. Nikos has had research publications in international renowned journals and poster presentations in international conferences. Most importantly Nikos loves working with children and is interested in managing anxious children and making then feel comfortable and is experienced in dealing with dental trauma as well as other childhood dental conditions. Outside work he regularly plays football, goes to the gym and enjoys travelling. 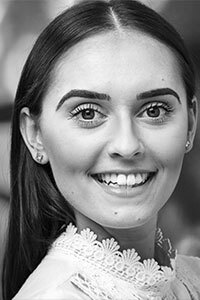 Annika qualified with both her undergraduate Bachelor of Dental Surgery degree and postgraduate Masters in Orthodontics from King’s College London. 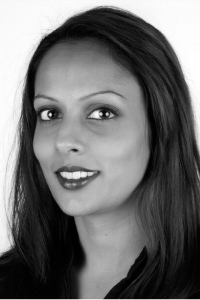 She undertook further training in Maxillofacial and oral surgery and paediatric dentistry before embarking on her specialist training in Orthodontics at Guy’s Hospital and the Queen Victoria Hospital, East Grinstead. This allowed her to treat both child and adult patients, requiring multidisciplinary care from other specialties. In addition Annika has treated a number of adult patients requiring the diagnosis and treatment of Obstructive Sleep Apnoea.